This week is National Breastfeeding Awareness Week, tweets are being tagged with #NBAW12. Lots of bloggers are joining in with posts and competitions, and I wanted to add my thoughts. For any baby, breastmilk is the ideal food. It's free, it is tailored to the baby's needs, it is convenient, no preperation required. For a premature baby breastmilk isn't just food, its medicine. When your baby is born prematurely, you are encouraged right from the outset, to express your milk to give to your baby. 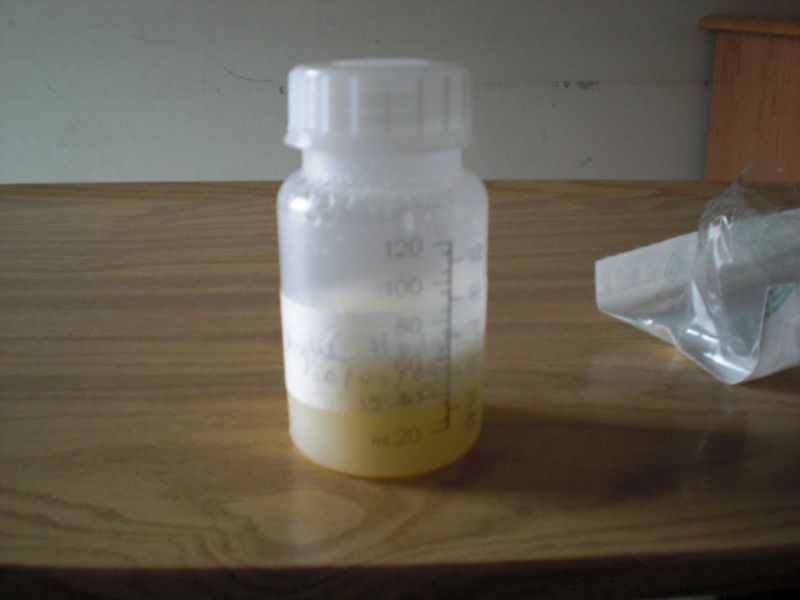 Breastmilk can offer protection against a deadly bowel disease called necrotising enterocolitis, and other infections. 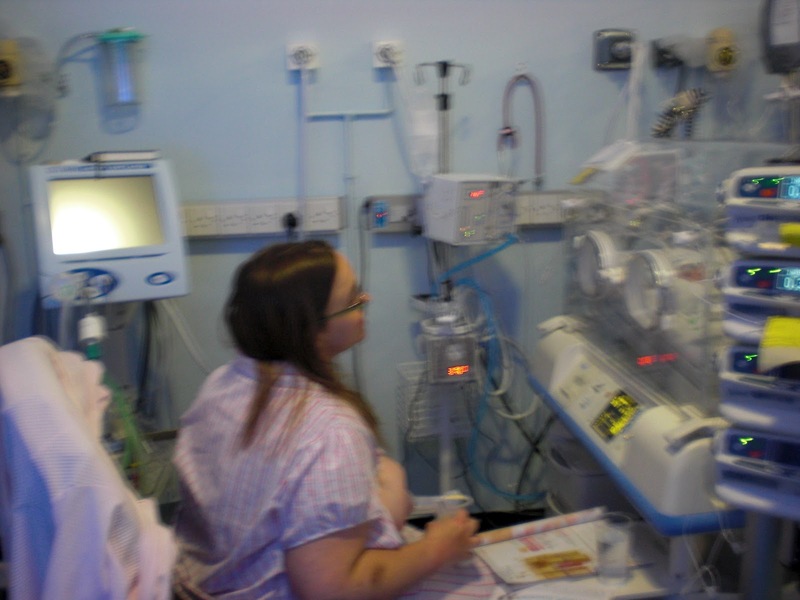 Breastfeeding a premature baby is not easy. Initially a baby will not be able to feed directly from mum, babies practice sucking and swallowing in the womb, but won't have this skill til somewhere between 34 and 37 weeks gestation. They have to learn this skill on the outside of the womb if they are born earlier than this. Feeding a very early baby is complex, and research is ongoing in this area, but generally they start with total parental nutrition and then move on to breast milk, this was the case with Joseph. Joseph was tube fed my breastmilk for nearly 10 weeks. In our case we couldn't move on from this, and he was introduced formula. I was so devastated as I was completely unprepared for bottle feeding. I got very mixed messages in hospital and at several points nurses and doctors would tell me that breastfeeding such a tiny baby would be impossible. I know now that this was wrong. It can be done. I wasn't given enough access for kangaroo care, and did not have enough support. I found expressing for Joseph rewarding in the early days, as it was something only I could do for him. But so hard too. Does this look natural to you? That picture makes me feel so sad in some ways, but so proud in others. When you are exclusively expressing, visiting your baby, managing the rest of your life and trying to retain some element of sanity, its incredibly difficult. Things are changing for the better in UK hospitals. Many units have specialist consultants, and are eager to support women like me to breastfeed their babies, but there is still work to be done. Breastfeeding is so important for our tiny premature babies, and the right support for mothers even more essential. To read more about my thoughts on breastfeeding, please visit this guest post I did for Plus 2.4 Breast Mates series. Thank you for posting this so honestly. There are so many areas that need to be addressed so that women are given the right support and information to enjoy breastfeeding. I know two women who didn't seem to produce any milk and were told to formula feed, yet another friend of mine with the same problem found help and support to enable her to increase her supply and feed with an SNS. I then had the opposite problem of oversupply and constant blocked ducts and pain and Oscar not getting milk for hours and then getting so much he choked. We switched to formula at 12 weeks, after 6 weeks of actively trying to find support and only ever getting people tell me my latch was fine and I must just have a fussy baby. If women want to breastfeed they should be given so much more support. Especially when the breastmilk is so important for the baby, like it was for Joseph. My son Liam was in two very different hospitals. The first hospital was great and there was a breast feeding co-ordinator on the unit for a lot of the time. She encouraged mums so much and made me feel like I was doing a great job. I went on to donate 80 bottles of breast milk after 8 weeks!! Her name is Liz Jones and she is a legend. visiting hours, and a nurse allowed visitors to walk in without checking first!! Very embarrassing.My milk soon driend up as I wasn't encouraged to express or given necessary advice/equipment. My son was on formula milk at 4 months of age. I'll never forget my feeling of elation when I finally managed to express enough milk to keep Little Miss fed for the day. Finally I was doing something worthwhile. I was fortunate that Little Miss and I managed to get on with breastfeeding without too many problems. Very fortunate, as the two units, and every nurse we came across, had different views on how to get a premmie to breast feed.